Ying and Yang” shaped tanks at a Children’s Hospital in upstate NY. Orphek DONATED all of the DIF-30 units we used to light them! The pic makes them look darker but they actually light the tanks well and they aren’t even mounted at the right height yet in the pic. Those are 6′ deep tanks by the way. And IMO you couldnt have gotten better or quicker service. I will always speak highly of this company and their product. I definitly will be buying three more units from them for my new build. “Today is the first day the Orphek has been running. I really can’t believe the size of the corals in particular the acans. They are huge and the colour is amazing, they were never this size under the previos lighting. “Very nice spread on these lights. My tank is 48?x48?x21? without exception, once the first unit is operating, they ALL quickly bought the remainder and haven’t looked back. We’ve had ours since Oct 2010 and loving the colours it produces, far better than what we were getting with out MH & T5 setups. Check out this link …..!! Just thought that I would put a quick picture up of the coral which I had put in a number of months ago. because it was nearly bleached and all colour was lost (looked brown in the coloured parts). I gotta be doing something right. This came to me a couple of weeks ago. It was purple and fadedand none of that blue. It’s got purple polyps and the purple/blue color is amazing. Purporites. It’s already encrusting the rock that I glued it onto. This photo is untouched by photoshop. THANKS ORPHEK!!!! ” Here’s some preliminary photos of the lights. Has unpacking through installation and operation. I improvised using the hardware you sent with the lights. It is working perfectly, and there are many other ways to do it. “2 units have arrived perfectly packed and secured. It was immediately installed with no problems providing good coverage all around. Attached please find my aquarium diagram. It was installed 30cm above water level. I’d like to thank you for the best service and above all superior product. How can I make best use of the fact that It has 16 programs on the timer? Each unit start with the night light first and continue with the day light and goes off the opposite way. What use can I do with other programs? “I hung the new lights and purchased new corals last weekend. The fluorescence under the blue light is incredible! I am very happy with your products, and hope to improve my coral skills. “I am very satisfied and we have a lot of interested customers . The lamp are hanging on the definitely place now. In the attachment I send you some pictures .the colors are very beautiful. ” I have had many compliments on the lights. They not only meet the corals needs, they look fabulous. 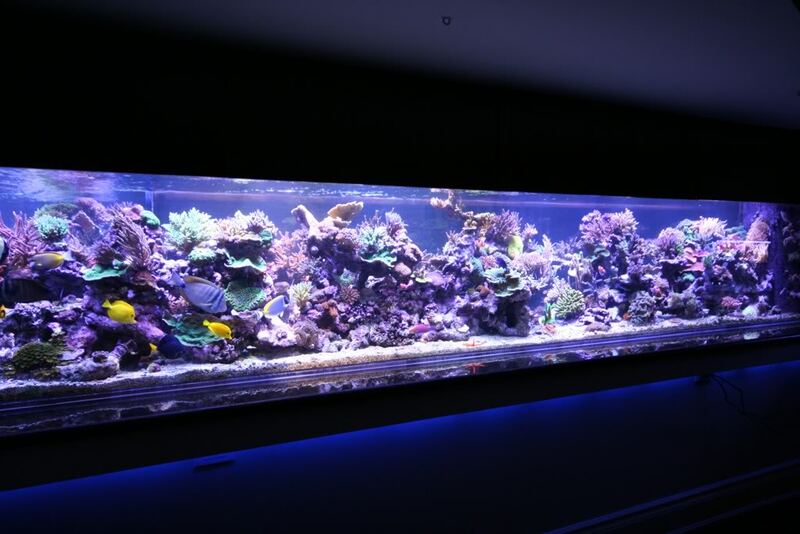 Thanks for sharing Justin, we’ve had the same experiences with our tanks, which are now all running on Orphek LED models PR-156 & PR-156W. We used to have both 400W & 250W MH’s plus a few T5’s, but our tanks have certainly improved since these LEDs were installed. Customer service between us and Orphek have been execellent at every step of the way for over a year now. Can’t recommend them more highly enough. A certain individual at the Gold Coast could learn a very valuable lesson from them…..